Its CLEARLY INSPIRED CHALLENGE time. 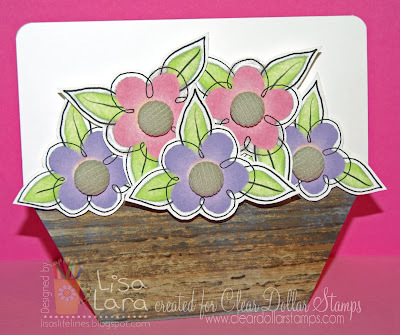 I hope you will come play with CLEAR DOLLAR STAMPS and join us for this color challenge. CDS is even releasing a new digi BLOOM that works perfectly for this challenge. 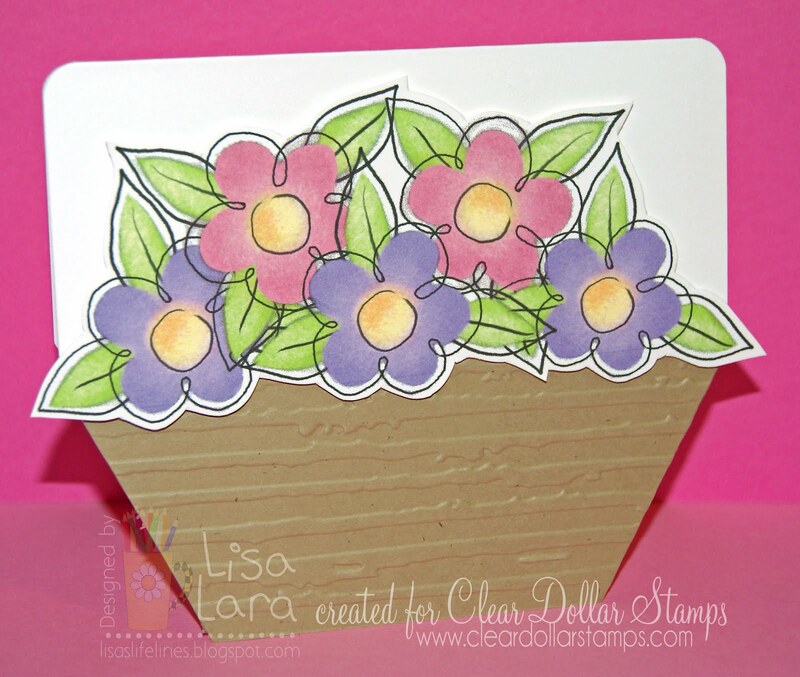 Get all the details on prizes, how to enter etc on THE CLEAR DOLLAR STAMPS BLOG. Here are my samples for this challenge. Check out my tutorial to make them on the CLEAR DOLLAR STAMPS TUESDAY TUTORIAL. I used the new COLOR DIGI BLOOM. I give instructions how to do the flowers in Microsoft publisher on my tutorial on the CDS blog. Here I just added some buttons. These wood buttons I got in the dollar spot at Michaels a while back. This one I used corduroy brads from Stampin' Up and the FAUX WOOD TECHNIQUE. 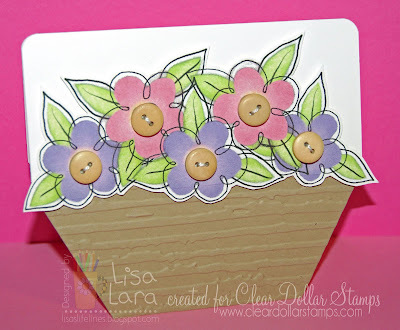 WOW What a fabulous design Lisa, LOVIN the flowers with the buttons, SWEET! oh my gosh... this is absolutely fantastic, lisa!!! Fab use of those wonderful bright colours Lisa! They all look fantastic!